The Oasi del Fiumefreddo is a charming farmhouse residence with fully equipped apartments. It is situated inside a park called "Riserva Naturale del Fiumefreddo" at 600 mts from the beautiful beach Marina di Cottone (blue flag CEE for the unpolluted sea). The garden, with a stunning view of Etna volcano and Taormina, is equipped with lounge areas with tables and chairs, barbecue area and private parking. 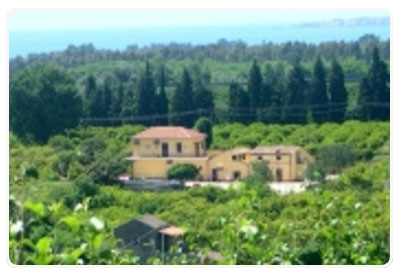 The residence, bordering the Castle of Slaves of XVII century, is situated at 1 km from the village of Fiumefreddo, 5 km from Giardini Naxos and then Taormina. Our location allows you to visit all the major attraction of the east coast and to organize excursions to Etna volcano, Taormina, Gole dell'Alcantara, Castelmola, Acireale, Alcantara Gorge’s, Riviera of the Cyclops, Catania city and (in 1 hour) to reach Syracuse. 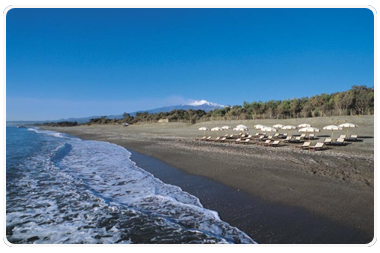 The surroundings also offers many sport and activities: horse riding, go-kart, flying with hang-gliding, golf and much more.. nature trails, archeological tours, adventure parks and local fairs as well as Catania and Taormina movida!